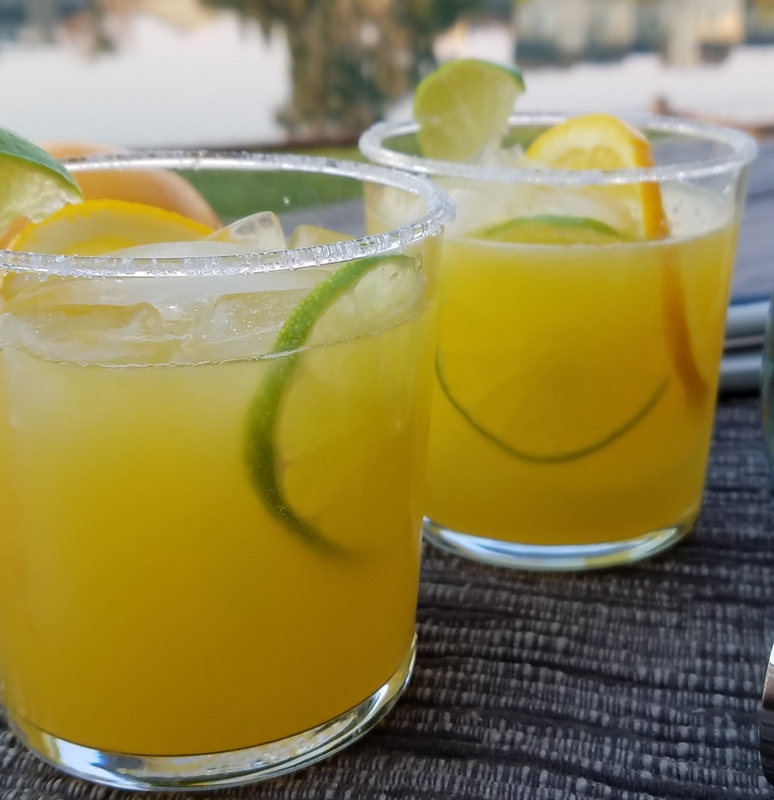 Orange-lime Margarita! I am surely getting the hang of making cocktails. The proportions of ingredients in this recipe is perfect for me. EK feels likes his cocktail a little sweeter. Keep simple syrup handy and you can adjust the sweetness easily to your liking. Prepare simple syrup and store them in the refrigerator so that they are handy when you need them. Dissolve equal part of sugar with water. Cool and store in the refrigerator. Rub a piece of lime wedge around the rim of a cocktail glass. Dip the cocktail glass, rim side down in the salt. Place some ice cubes in the cocktail glass. Use large ice cubes if you have them, they will keep the cocktail chilled and does not dilute it as quickly as smaller ice cubes. Add a slice each of lime and orange. Mix margarita ingredients in the cocktail shaker, shake until the bottle is misty. Pour the mixture into the cocktail glass. 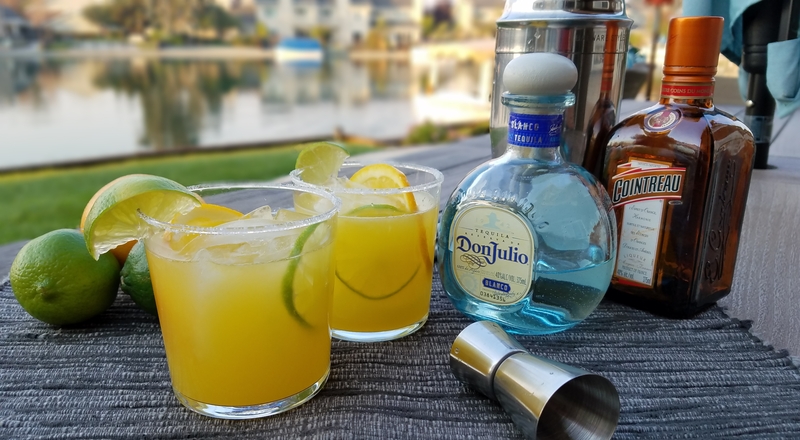 Garnish with a wedge of lime on the rim.